A time-saving solution for creating an organized environment, pockets charts are essential for classroom management. 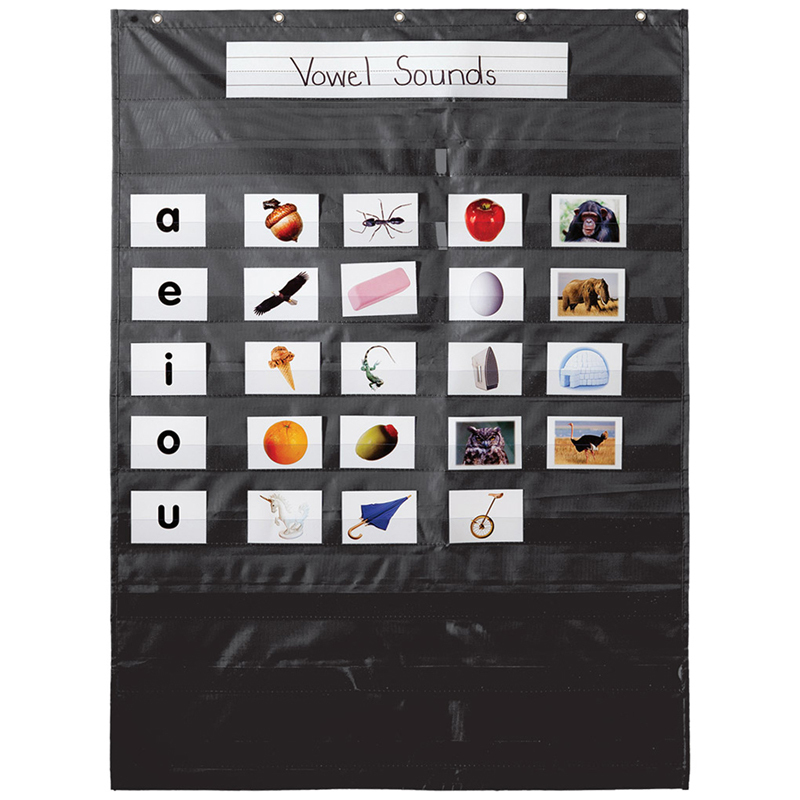 You can provide an organized and hands-on learning environment with the durable and easy-to-hang Essential: Black pocket chart by playing games, tracking behavior, teaching sight words, and so much more! It features 10 clear pockets and a convenient storage pocket with hook-and-loop tape closure. Carson-Dellosa's pocket charts are a classroom essential to help organize, teach, and create a positive, hands-on learning community! They provide easy solutions for teachers' most complex tasks by helping create an orderly classroom environment. Pocket charts are made of flame-retardant material and durable construction. Sturdy grommets allow for easy hanging.